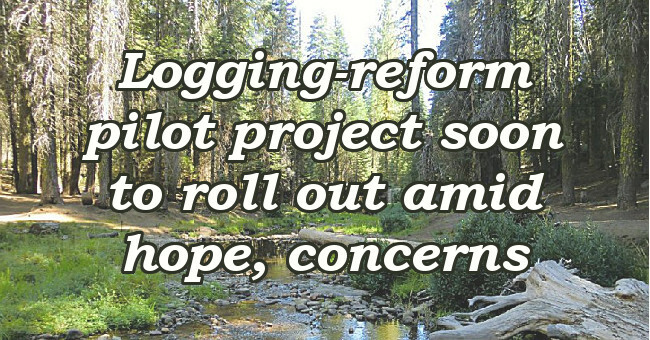 After years of advocacy work, legislation, and grassroots organizing California's first forestry-reform pilot project got underway in December 2016. There's much reason to hope for a positive outcome. For one thing, Forests Forever's forest policy advocate Richard Gienger was selected as one of the initial 11 persons seated on the Pilot Project Working Group that will oversee the project. It is set wrap up about two years after it began. Geographic focus of the pilot project is the Campbell Creek watershed within the larger Ten Mile River basin in Mendocino County. A successful outcome of the pilot project will be to take the current "Tower of Babel" collection of data sets, scientific methods, and terminology and make them consistent, accessible, and usable in understanding and better regulating logging's heavy impacts on land, water, and wildlife. This and forestry pilot projects to follow (possibly as many as three more) would never have come about without the thousands of letters, emails, phone calls, and hearing comments and the financial support of Forests Forever's supporters over many years! Gienger, a respected watershed-restoration expert, has been joined by environmental, fisheries and tribal representatives, as well as members of the timber industry. "All in all we feel encouraged by the makeup of the panel," said Paul Hughes, Executive Director of Forests Forever. "We'll need to stay on our toes to make sure the process goes forward with the kind of integrity, public participation, and transparency that is needed." 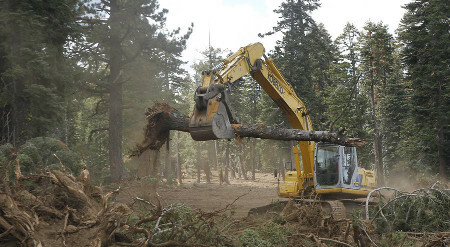 Assembly Bill 1492, signed into law in 2012, called for a more streamlined and cost-efficient process for developing and enforcing the state's logging regulations. And it demanded more effective rules ("ecological performance standards") for safeguarding water quality, wildlife habitat, watersheds and soils, and to meet carbon sequestration and forest restoration objectives. Among its provisions, A.B. 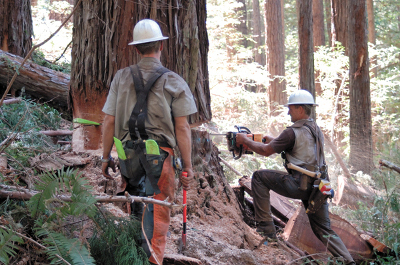 1492 removed from the timber companies all permit fees they had previously been charged, instead funding their environmental oversight and regulation through a tax on retail sales of lumber products. With the industry completely relieved of the cost of its own regulation, the California consumer and the public now are paying for the reforms and programs that come under the scope of A.B. 1492—most importantly, more efficient and more effective environmental protections for air, water, soils, and wildlife. With the first pilot project now underway it is crucial that the concerned public be fully engaged and that full transparency and accountability to the citizenry is guaranteed. After all, we're paying for it! This project is collecting and organizing data and should provide a basis for evaluating environmental information resulting from past logging operations in the Campbell Creek watershed northeast of Fort Bragg. If successful the end result will be findings and recommendations that will inform the long-overdue, fundamental aim of responding to cumulative impacts caused by timber extraction. 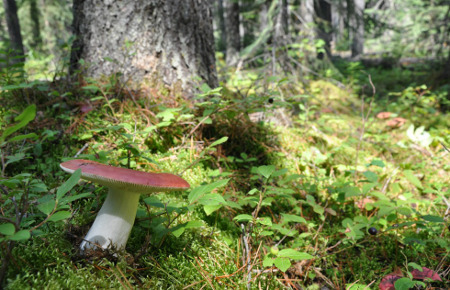 These findings can be reasonably extrapolated from Campbell Creek to other watersheds, as well as help in locating where forest and watershed restoration steps can and should be taken. 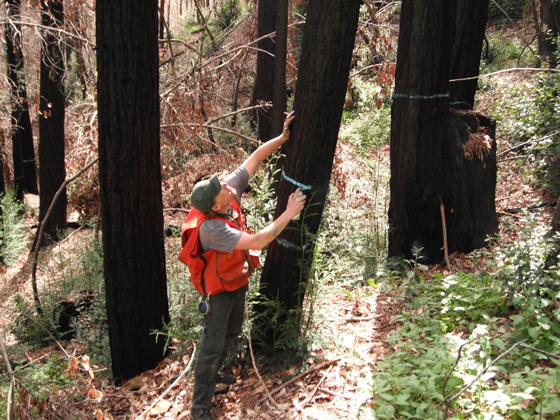 The primary goal of the pilot project(s) must be to determine actual forest conditions. What conditions now existing in the forest? What is the character of the soils, watercourses, wildlife habitat, etc., in the wake of both logging and logging regulations that have come into being since the enactment of California's Forest Practice Act in 1973? It is only after these baseline conditions are set forth—and discussed and agreed upon by all the stakeholders—that we can begin to fashion a meaningful and effective set of approaches to analyze and regulate cumulative watershed effects. Public pressure by Forests Forever, its supporters, and allies has significantly shaped and improved the mission and focus of the pilot project. In 2015 and 2016 the successive concept papers outlining the pilot project reflected a significant amount of our input. For example, our comments made a difference with regard to: clarifying the composition of the Pilot Project Working Group (PPWG) and the level of representation by each stakeholder group; sharpening the focus on ascertaining existing baseline conditions in the forest at the outset (as the latest concept paper states, "thoroughly and accurately characterize[ing] current biophysical and ecological conditions on the planning watershed [emphasis added]); increasing the emphasis on the effectiveness of new rules and procedures, not just their "efficiency," which refers mainly to their affordability; and moving toward a more-practical approach to PPWG management by "consensus process" in carrying out its work. 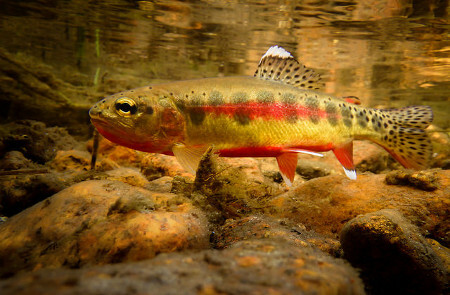 Gienger is joined on the PPWG by representatives of three highly regarded advocacy groups concerned with forest and salmon fishery conservation—Save the Redwoods League, the Environmental Protection Information Center, and the Pacific Coast Federation of Fishermen's Associations. In addition there are two fisheries scientists, a respected watershed restoration consultant, and a tribal representative from the Sherwood Valley Rancheria Band of Pomo Indians. Stay tuned for more news about the progress of this important pilot project in 2018. The California Natural Agency's web page detailing the pilot project has recently been update.